Festivals in my twenties used to involve wellie boots, bands and booze! I honestly thought my festival days were behind me once I had kids, but then a friend told me about Just So Festival and I discovered how to festival in your thirties. You know, go to a family friendly festival with 3 kids in tow, enough stuff to last a month and a tent the size of Great Britain. 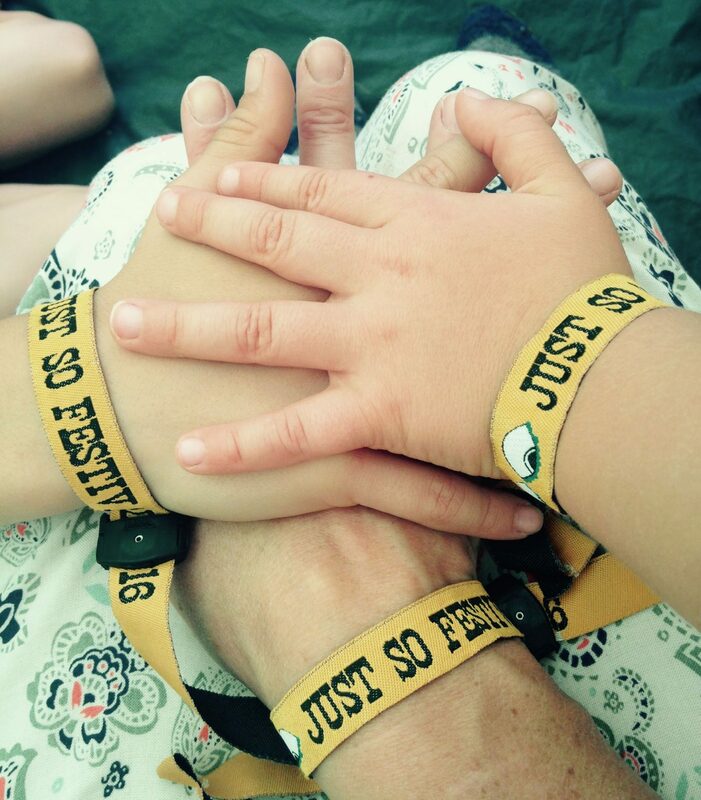 Here’s what happened when we took the kids to Just So Festival in Cheshire one wet August weekend. Warning, there is excessive use of the word ‘Magical’ in this review! 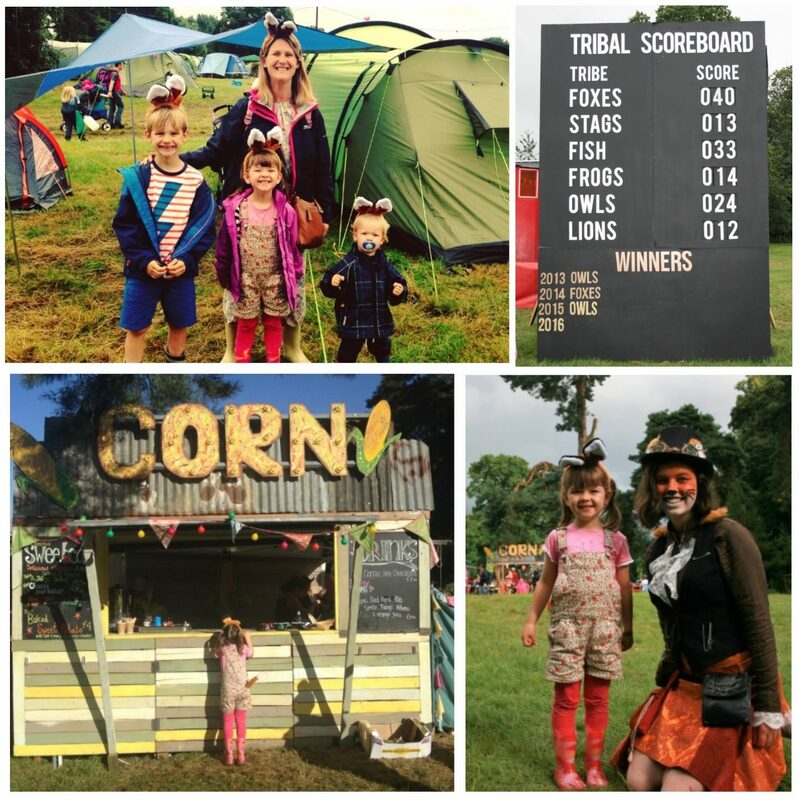 Pitched as a family adventure beyond your wildest dreams, this isn’t your standard musical festival folks! Far from it. Whilst it does have live bands, this is a spellbinding family festival which is full of surprises and enchantment around every corner. 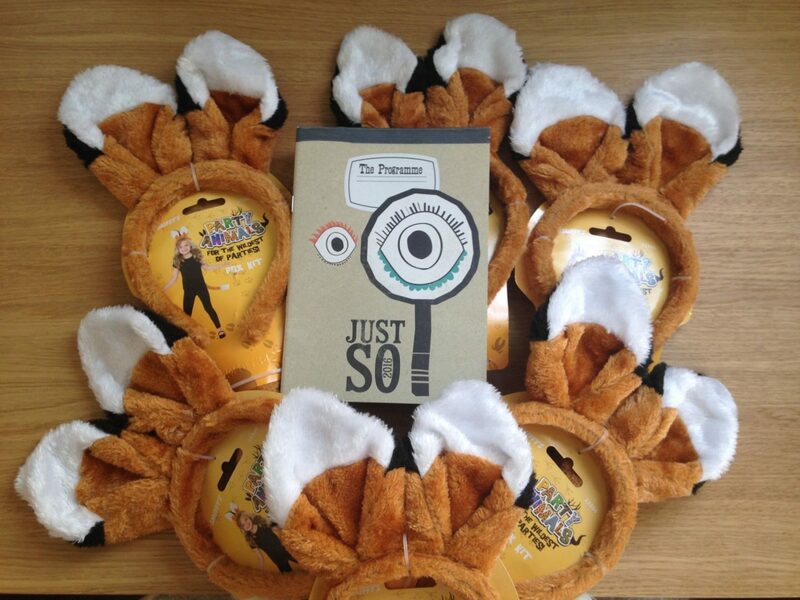 All festival goers are encouraged to join a tribe before coming, e.g. owls, foxes, stags, fish, frogs or lions and then at the end of the weekend there is a Tribal Tournament where one tribe will reign supreme. It is up to you how dressed up you want to be to represent your tribe. As first timers, we opted for some fox ears and tails. With regards to the site, this is split into 12 areas and within each of these you will find various activities or workshops where families are encouraged to play, dance, create and see theatre, dance and music. There is so much going on that it would be impossible to attend everything on offer. 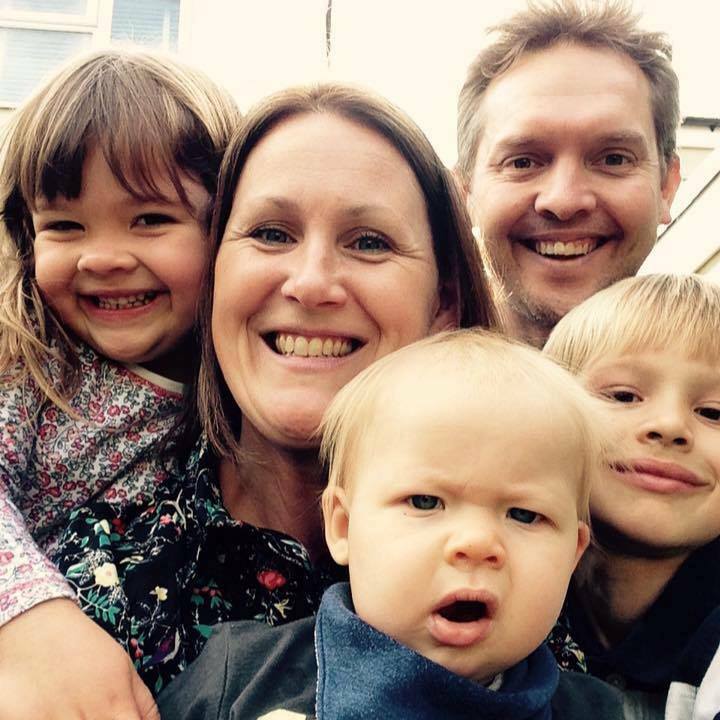 Here’s our family highlights. This was our favourite spot as it really felt like you were stepping into a magical forest as soon as you as you walked through the entrance, which just so happens to be a book! At any time of day you could come here and there was always something exciting going on. 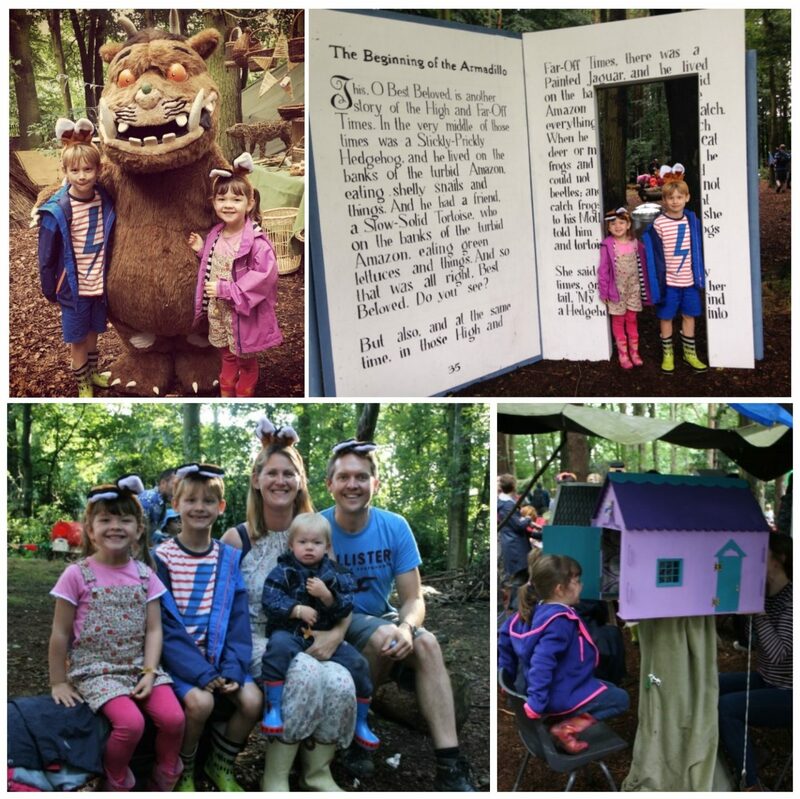 We met the Gruffalo, turned into super sleuths, listened to bedtime stories and toasted marshmallows around the bonfire. We also made bushcraft wands and experienced the wonderful theatres for one which I have never seen anywhere else before. Think babies can’t do festivals? Think again! Just So has an entire area dedicated to babies and toddlers. Not only can you bath and feed your baby here, but there are so many workshops to choose from that any baby or toddler will feel right at home. 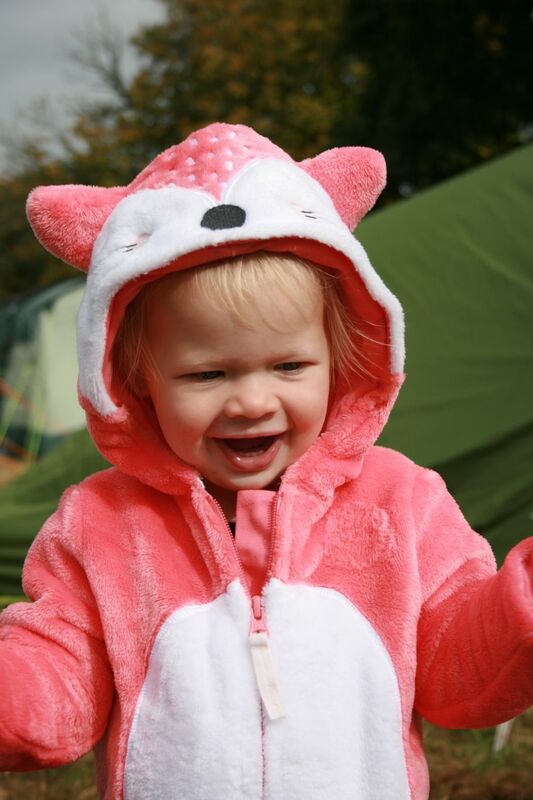 From baby massage to rhyme time, lullabies to baby ballet, your baby will be a happy festivalgoer in no time. The highlight for me was walking along the woodland trail and stumbling across performances by the spectacular Fabularium. I wouldn’t class myself as a huge fan of theatre, but as soon as we sat down we were all under their spell. 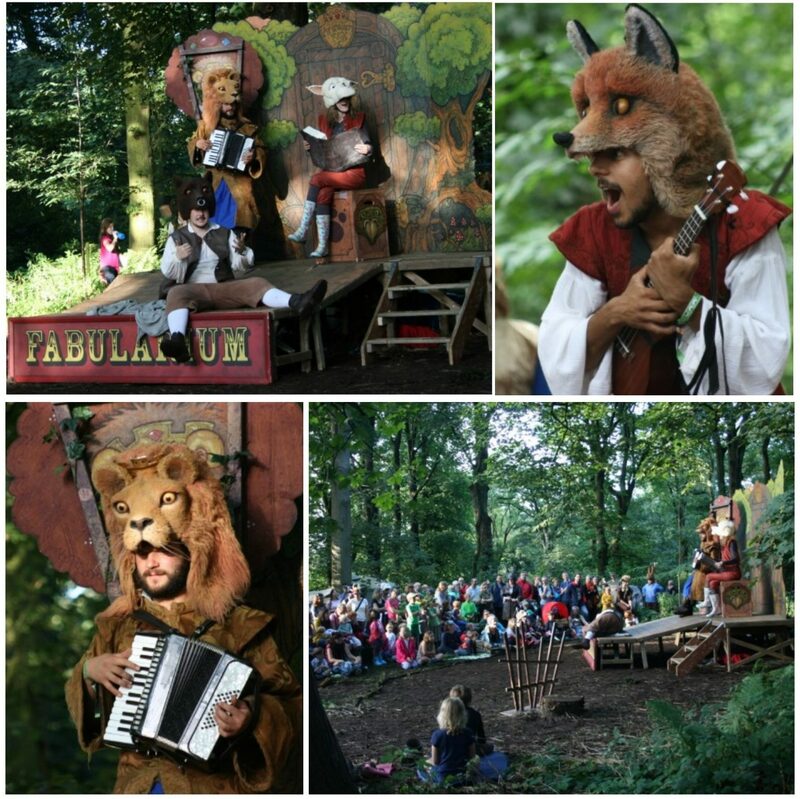 The stage was nestled beautifully inside the forest and with the combination of their amazing costumes, storytelling skills and musicality, we were completely swept away by them. Even as first timers to Just So, it was easy to immerse yourself in the various traditions which make this such a magical festival. There were loads of wonderful cakes at the Just So Bake off, and whilst we didn’t make the pillow fight, the midnight feast with my oldest son was a moment I will treasure forever. We also enjoyed the eccentric New Curiosity Shop and tasting some of the biggest candy floss I have ever seen in my life. Another Just So tradition is the lantern parade, so we headed to the High Seas to make our own lanterns. As the weather wasn’t on our side for most of the weekend, this was the perfect rainy day activity. The parade itself was a great experience as it brought together all the festival goers as everyone either took part in the parade or witnessed the lanterns lighting up the woods along the path. 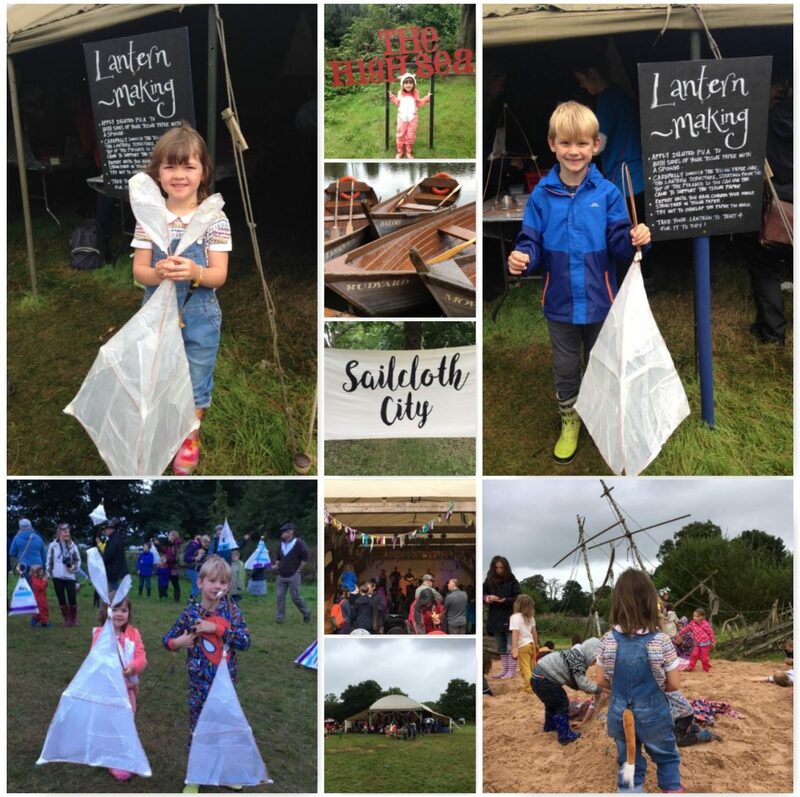 The kids also enjoyed running through Sailcloth City, playing in the huge sand pit and listening to some fantastic music in the Travelling Barn. On top of all this wonderfulness, there were a number of other factors which made the weekend run smoothly and family friendly. The entire festival was a very relaxing environment as everyone was with their children/grandchildren/nieces/nephews and at no point did I worry about anyone’s safety. The campsite had hot showers and was located close to the entrance. There were proper toilets throughout the site which were always clean. The food was good, reasonably priced and there was lots of choice. The coffee was hot, delicious and readily available. 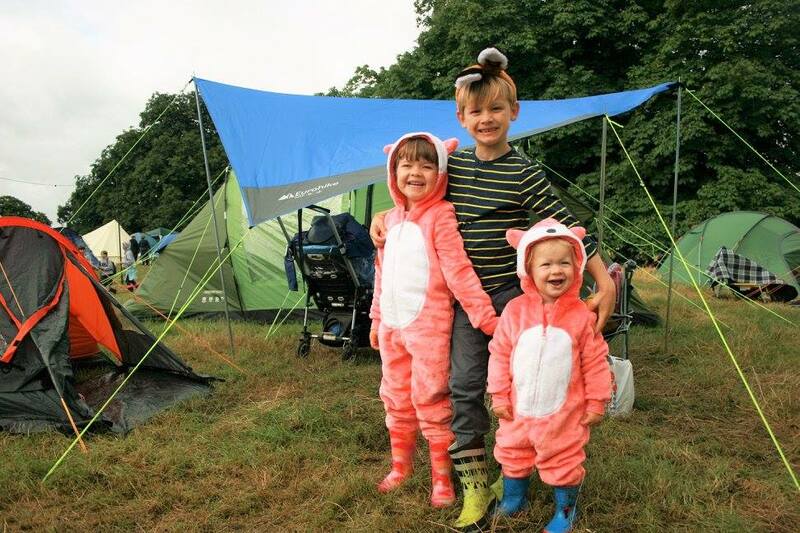 In conclusion, as we packed up the tent next to a family of frogs, washed the dishes next to 6ft lion and drove off past a group of owls and fishes discussing the weather, it made me realise how much fun family festivals in the UK can be. We’ll definitely be returning next year as there’s still so much more to see and because Just So Festival is…..
Just So (one last time I promise) magical! Give me festivals in my thirties with bonfires, bake-offs and bushcraft wands any day. Please note, this is not a sponsored post. We paid for the tickets in full ourselves. Thanks so much. Completely agree, the Spellbound Forest was a real highlight. It really is. I would highly recommend it. Thanks. I would totally recommend taking a 2 and 4 year old. There is so much to do for all ages and they really have the freedom to roam around a safe and family orientated site. Go for it!